This is a very rough draft of this post............but I think you'll still find it useful, as it'll direct you to the blog posts that you'll need! Decide if you want to be an LLC or Sole Proprietor. Click here to read about the difference. Figure out if you'll need to collect Sales Tax or Not. Generally, if you make any products that you sell directly to the consumers, or if your services alter physical things, you will need to collect sales tax. More on this to come. 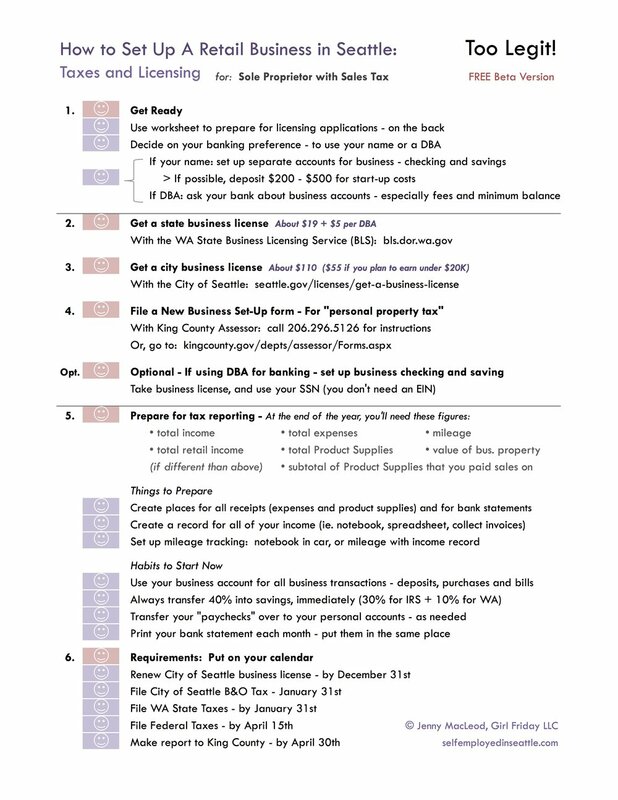 Choose the correct PDF Checklist, print both pages. These need to be updated, so a few details might be off, but they'll still give you some help! Go to the relevant blog post. This will lead you through the steps, and has links too! For Creating an LLC: Click here. For Creating a Sole Proprietor Business: Click here.